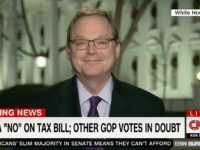 U.S. Trade Representative Robert Lighthizer proclaimed President Donald Trump’s trade agenda “visionary” after Tuesday’s State of the Union address. 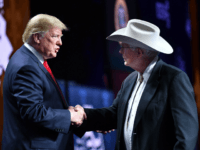 President Donald Trump promised farmers Monday he would keep fighting for their interests, as his ongoing trade negotiations with China continued. 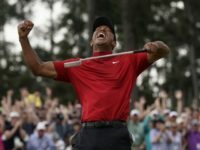 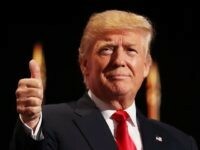 President Donald Trump spent his second year in office under siege from Democrats and the establishment media, but there were moments when his supporters felt particularly vindicated about their decision to vote for him. 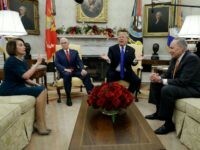 House Minority Leader Nancy Pelosi (D-CA) mocked President Donald Trump’s claim on Thursday that America’s new trade deal with Mexico and Canada would pay for the border wall. 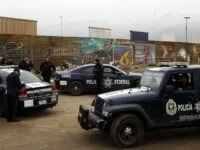 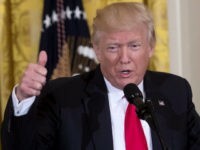 President Donald Trump defended his campaign promise that Mexico would fund a border wall on the southern border on Thursday. 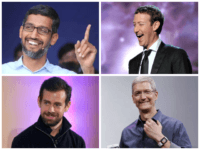 Tech companies snuck a provision into USMCA that would entrench their right to censor. 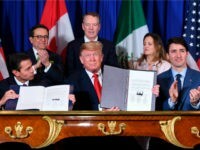 Trudeau refused to say the name of the new “USMCA” trade agreement during a signing ceremony with Trump and Nieto on Friday. 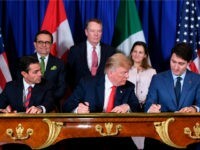 Presidents of the U.S. and Mexico and the prime minister of Canada officially signed the U.S.-Mexico-Canada trade deal at the G20 in Argentina on Friday. 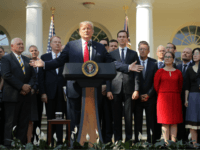 A majority of Americans believe President Donald Trump is doing a “good job” keeping his campaign promises in a poll released days after Brett Kavanaugh was sworn in to replace retiring Justice Anthony Kennedy on the Supreme Court. 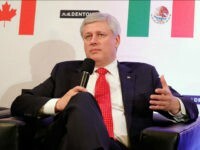 Former Canadian PM Stephen Harper: Updated NAFTA Is ‘Pretty Good Deal’ for U.S.
Former Canadian prime minister Stephen Harper says the freshly negotiated USMCA is a “pretty good deal” for the U.S. 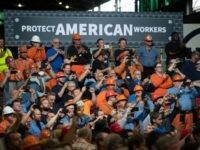 The Trump administration’s new trade pact with Mexico and Canada is much better than previous trade agreements in the area of workers rights, the United Steelworkers union leader said in a statement Monday. 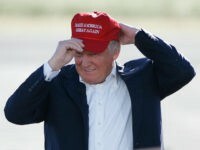 President Donald Trump valued the U.S.-Mexico-Canada Trade Agreement (USMCA) at $1.2 trillion on Monday, thereby replacing NAFTA as the biggest trade deal in U.S. history. 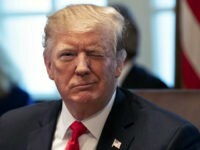 President Donald Trump celebrated the news that Canada had joined a renegotiated trade deal with the United States and Mexico. 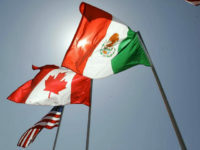 The U.S., Mexico, and Canada came to a late-hours agreement Sunday to create a trilateral trade deal to replace NAFTA that is being deemed the USMCA, U.S.-Mexico-Canada Agreement.